At Bowie Unified School District, we believe athletics play an important part in the development of our students. 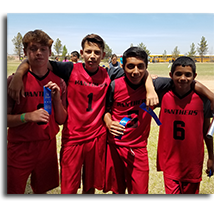 We provide ample opportunities for each student to participate in the athletics program. 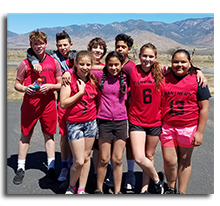 Our middle school students compete in the Small Valley Conference in volleyball, basketball, and track. 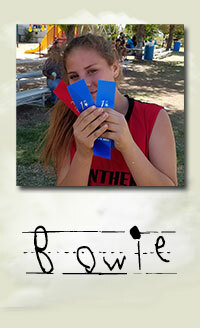 Bowie High School is a member of the Arizona Interscholastic Association and competes in the 1A Conference, East Region. We have teams in volleyball, basketball, softball, baseball, and track. We have a cooperative athletics program with San Simon High School. 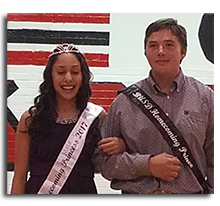 This provides Bowie students an opportunity to compete when the numbers for a sport might be too low for Bowie High School alone. Please view our athletics handbook for more information. All hail, Bowie High School to you! The school that we love best of all, all hail, Bowie High School, to you!! The red and white will reign forever!